Similarity with other destination, KonTum has one Best Vietnamese Food which has been popular long time. 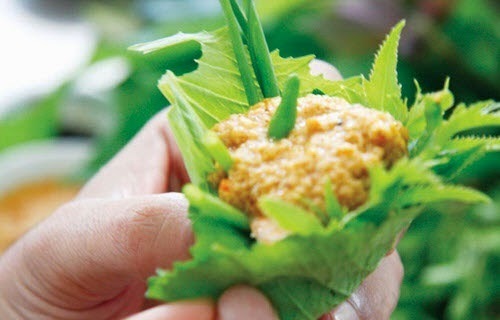 It is Leaves Salad (Goi La) or you can call its name with another name is Forest’s party on Highland. No kitchen fire and forest meat, but KonTum has a dish which is called forest’s party. Most of ingredients are from this place’s forest. Making this dish is not easy; the most difficult part is looking for the forest’s leaves. This Best Vietnamese Food requires nearly 40-50 kind of leaves. Besides some popular leaves that can find out easily in the market, it needs more than 10-20 kind of forest’s leaves. There are some leaves that just exist in Tay Nguyen like purple prongs, brooch leaves, sour leaves, monkey leaves and sesame leaves. Some leaves like vajra, buffalo’s tongue and moxa are good for health. 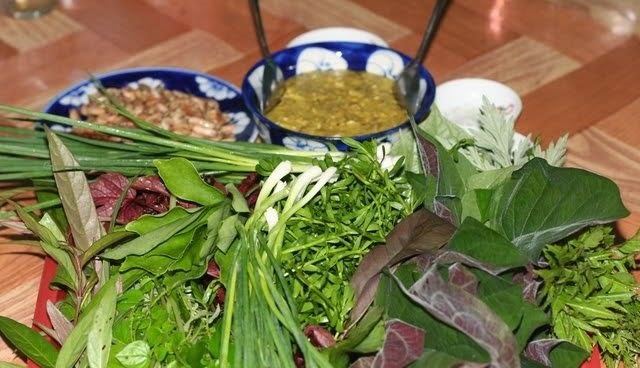 Skunk vine and hook weed are two important leaves in this Best Vietnamese Food. Therefore, this dish also has a different name is Leaves salad. After finding out all of the leaves, cleaning all of them and put them on the table. 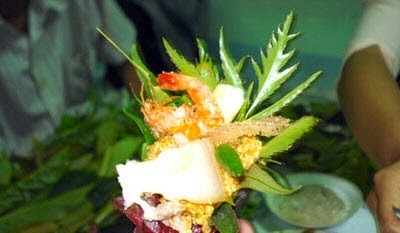 You can use pigskin, boiled shrimp and pork to eat with these leaves. The making of delicious this dish is making the sauce. The sauce includes fresh rice, shrimp and pork are sliced into tiny pieces and then boiled them on the hot pot. To eat this Best Vietnamese Food, you choose the biggest leaf firstly and then put some small leaf inside the biggest one. Finally putting the shrimp and pork inside these leaves and eat them with the sauce. The variety of forest’s leaves make this dish is more delicious and tasty. The restaurants in KonTum usually do not provide the chairs for customers, you have to sit on the ground and enjoy this dish. 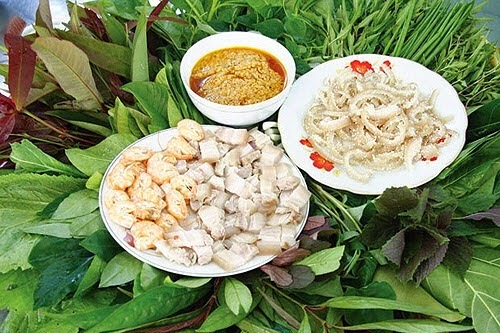 If you have a chance to visit Vietnam, let go to Kontum and enjoy this Best Vietnamese Food quickly, it now is a good time due to this season has nearly the entire leaves requirement. Good Luck for your Trip.